Pucks, Bowls & Brushes. A luxurious shaving experience, reminiscent of the old-time Barbershop. Choose a set or individual items to complete the experience. 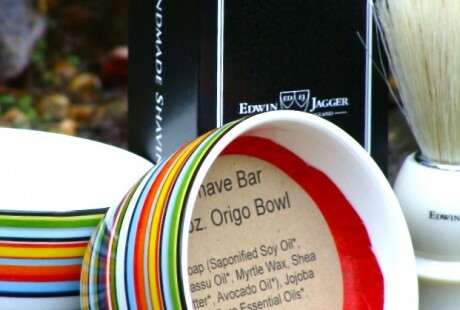 We offer mugs, cups or bowls with soap, boar’s hair or badger hair brushes, and shave bar pucks. Please ‘Read More’ for the details. 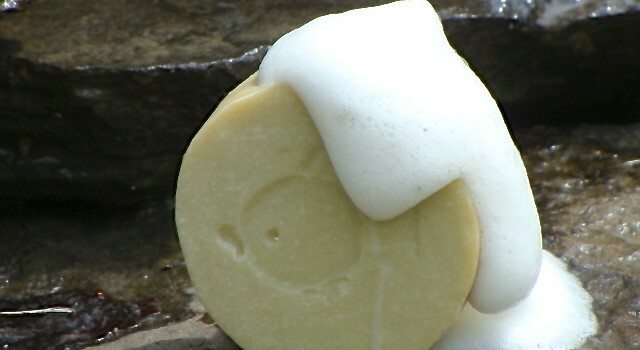 The shave soap is designed for a moisture rich, smooth and silky shaving experience. 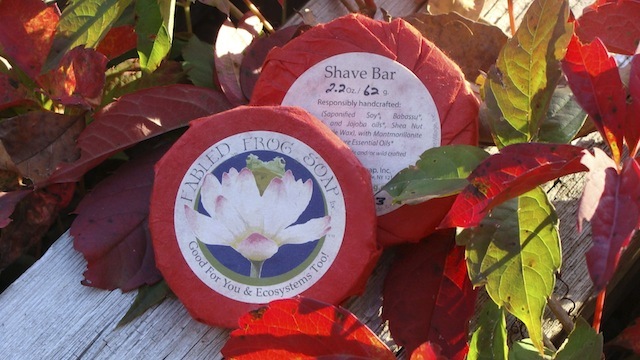 These soaps naturally attracts moisture and provides a slippery surface for the razor to glide over. Essential conditioning of the skin is provided with the addition of moisturizing oils, for a luscious experience. Pucks are about 2.5 inches in diameter. The mugs, bowls and cups are each unique. The mugs and cups are hand thrown pottery by local artisans, the bowls come from a variety of artisans and designers. Set includes 2 ounces of Shave Soap in an Origo bowl, an Edwin Jagger® brush, and 1.5 ounce puck. The bowl is designed by Alfredo Haberli, born in Buenos Aires, Argentina, an internationally established designer based in Zurich. His designs express tradition with innovation, joy and energy. Available for a limited time please contact us to make arrangements for purchase. 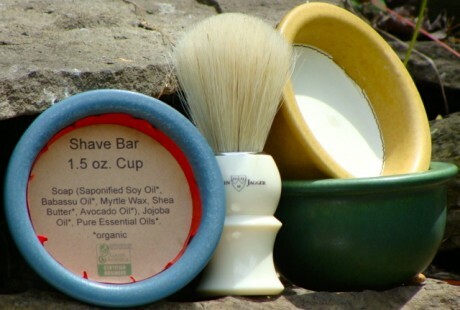 Set includes 1.5 ounces of Shave Soap in a ‘cup’, an Edwin Jagger® brush, and 1.5 ounce puck. The ‘cup’ is handcrafted by the Bennington Potters in Vermont. Each work day they create fresh clay using precise blends of the best American clay. Each ‘cup’ is stamped with the six petaled burst, the trademark of the Bennington Potters. Available for a limited time please contact us to make arrangements for purchase. The Diamond Willow is locally crafted by Mountain Top Woodcrafts in Summit, NY. 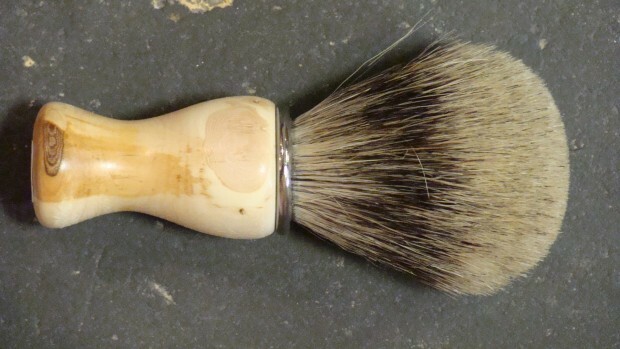 Made to last a lifetime, with badger bristles and a custom designed diamond willow handle. Please contact us to make arrangements for purchase. 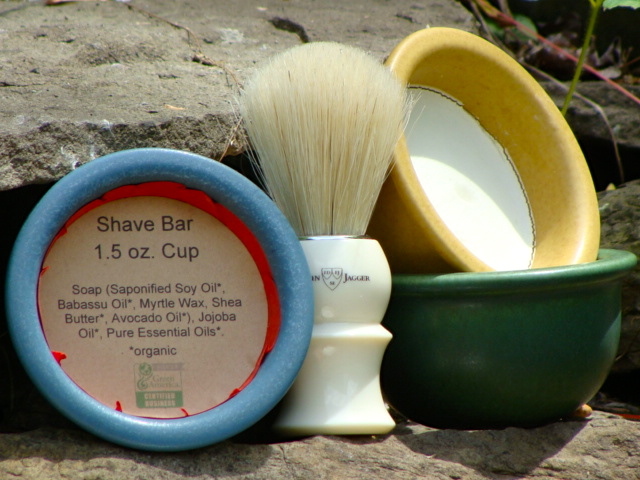 Shave Soap: soap* and pure essential oils*. 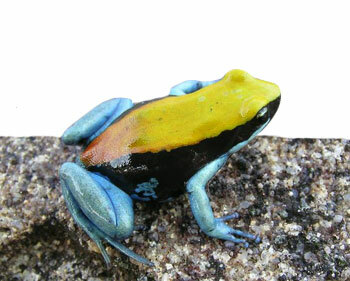 Unlike frogs, these soaps don’t like to sit in a puddle of water. Remove any excess water in the container after use. 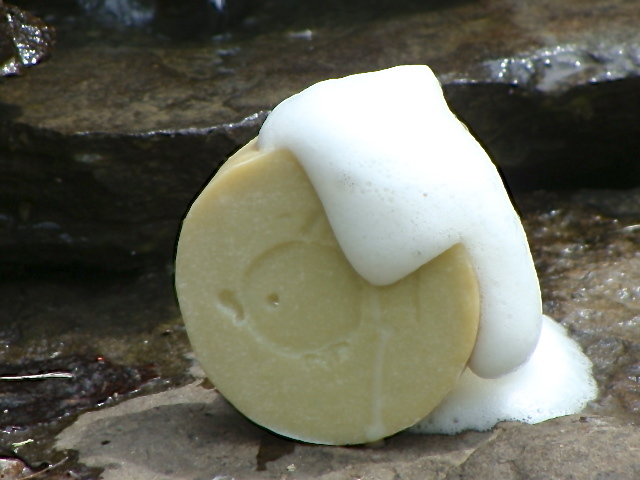 It is best to keep the soap dry between uses. These brushes are made from hair so require the same attention we give to our own hair. 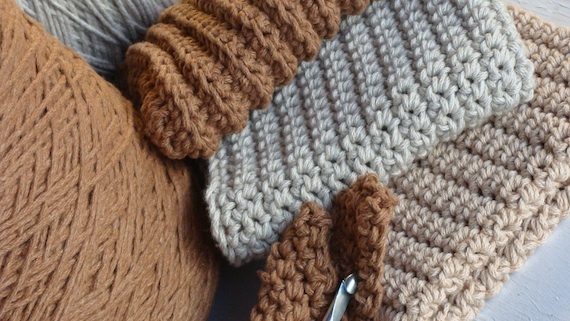 Rinse well after use, flick dry, and hang with bristles pointing down to finish drying. It is best not to put wet brushes in an enclosed area or cabinet, as they can develop mold. We also consider the distance they have to travel. If we can, we buy ingredients that do not have to travel great distances, or we buy from a bulk supplier that is within the U.S.